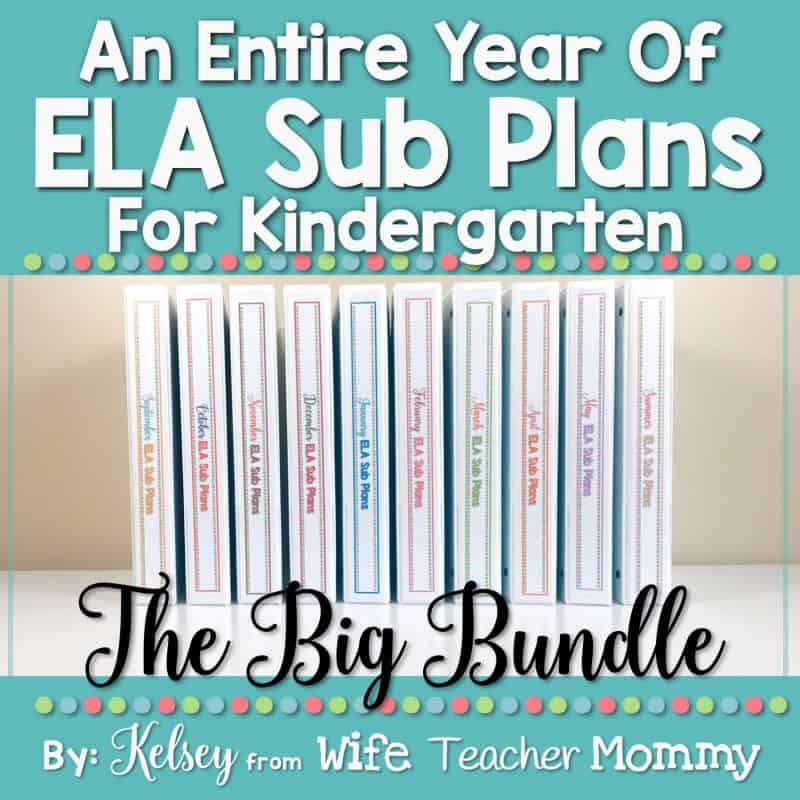 This BIG bundle of ELA sub plans for Kindergarten will last you the entire year! Your students will LOVE these activities, and you will rest easy knowing that your students are completing meaningful ELA activities with the substitute while you are away. They are perfect for emergency sub plans! Each set of Kindergarten sub plans can be used for an entire day’s worth of activities, or for several days of your ELA block. The sets include seasonal and holiday themes for each month- which makes them both educational AND fun for your students. This complete bundle for the entire year is ready to go! You can print and put together the entire year into your sub tub. This is a digital download, which means you won’t have to wait for anything to ship to you. You can print and put together your sub plans right away! My Month-To-Month sub plans also integrate perfectly with my Ready To Go Sub Plans which are not seasonal and can be used at any time during the year! The Ready To Go Sub Plans also include all subject areas.